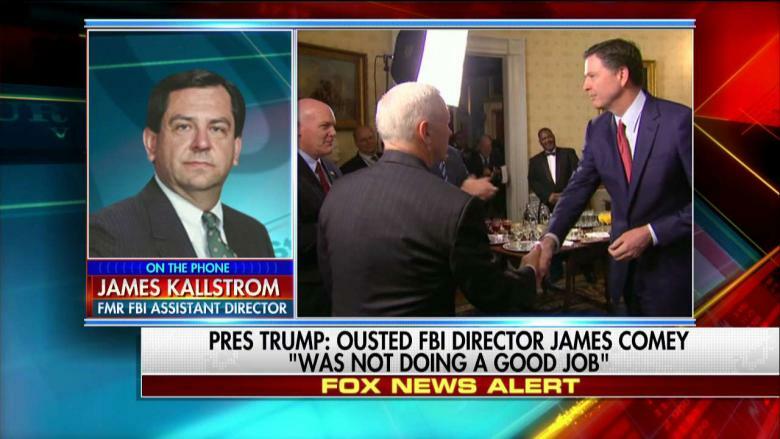 Former FBI Assistant Director James Kallstrom spoke to FBN’s Stewart Varney to discuss recent bombshells concerning the FBI, whose top brass has been conducting a highly politicized witch-hunt of President Trump on behalf of the anti-Trump establishment, while protecting then-candidate Hillary Clinton from criminal charges related to her email investigation, Clinton Foundation involvement in pay-for-play schemes, including a farcical probe of the Uranium One scandal. What’s morale like in the FBI now? It’s not good, but I think recent events that I’m aware of are going to improve that because there’s going to be actually something that’s going to happen, in my view. You going to leave us on that? Well I think there’s a lot of patriots that have had it up to here with what’s going on, and they’re going to step forward and tell people what the shenanigans have been. How they shut down the Clinton Foundation investigation, how other things were done that are so ‘anti – what the FBI and the United States and this country is about’. If that’s his thinking, and they were obviously in Andy’s office plotting some kind of thing. And I think that some kind of thing is what we’re seeing right now. And we’ve seen for the last, what, ever since he’s been elected we’ve seen this facade and this phony challenge to Trump about collusion and Russia, which nothing could be further from the truth. All the collusion is with the Democrats, and it’s very very depressing to be FBI agents. 99 percent are hard working patriotic guys and girls that come to work for the good of the country. Kallstrom then brought up a question that’s on a lot of minds currently; just what exactly is Jeff Sessions doing right now? Varney: I want to summarize this. I want to be very clear about it. I have said in my opinion there is a cabal active within the FBI and the Justice Department. Varney: Which hates trump, which protected Hillary Clinton and tried to bring down Donald Trump. And that is an extraordinary story of interference in an American presidential election. Kallstrom: yes, yes, yes. It is. Without question that’s what it was. Just like the whole “so-called” Clinton investigation, it was phony from the beginning; No grand jury, giving witnesses immunity, putting all the subjects in one room at the same time. I mean it’s crazy. It’s nuts what they did.